It’s your turn to host a holiday party this year, and while it might be tempting to go the BYOD (Bring Your Own Drink) route, why not wow your guests with your mad bartending skills? 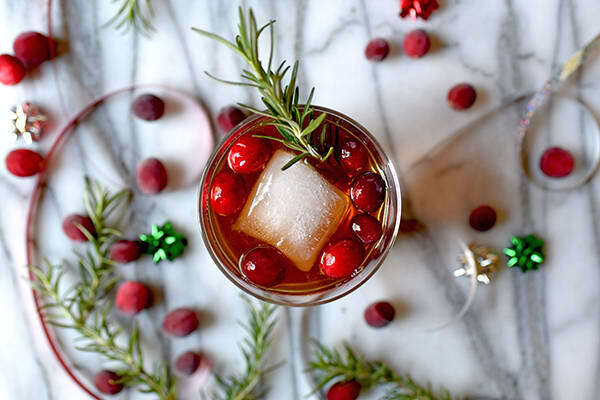 Leave the 15-ingredient, artisanal, hand-crafted mixed drinks to the pros and pick simple holiday cocktails that pack a ton of flavor — and more importantly, you can make in a big batch ahead of time. Luckily for you, we just happen to have six drink recipes that will ensure you win the Host With the Most Awesome Drinks award. These cocktails require only a handful of ingredients, with some making appearances in more than one recipe, so you won’t have to buy a bunch of different mixers and add-ins. Get your shopping lists out, party people, and get ready to go down in drink-making history. Cranberries are a truly multi-tasking fruit: You can use them for homemade cranberry sauce, cookies, crumble bars, festive and edible wreaths, and of course, gorgeous holiday mocktails for your next party. Get the Holiday Cranberry Fizz recipe here. Nothing says “it’s a party!” like a bottle of fizzy, bubbly champagne. 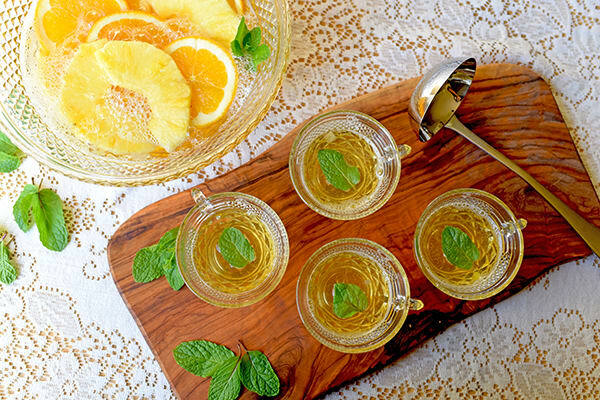 But if you want to kick things up a notch at your next soiree, try this Fruity Champagne Punch. Champagne is amazing by itself, but there’s no end to the number of refreshing and brightly flavored cocktails you can make with it. This fruity punch is a lighter alternative to typical holiday concoctions like egg nog and other creamy drinks. And don’t feel limited to using pineapples and oranges: You can use whatever fruits you’re in the mood for or citrus fruits that are in season. Get the recipe for Fruity Champagne Punch here. 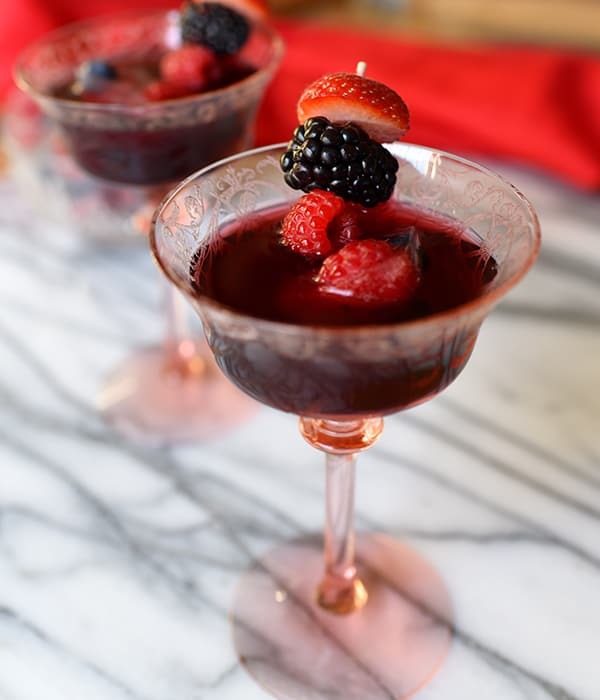 This beautiful, deep-red cocktail is a flavor showstopper: fruity red wine, pomegranate juice, citrusy vodka, blackberry liqueur, honey ginger simple syrup, and… (drumroll, please)… mixed berry ice cubes. It may look too pretty to drink, but you really should. The vodka cuts the sweetness of the wine, syrup, and liqueur just enough so that you can savor all the delicious flavors. Make the honey ginger simple syrup and mixed berry ice cubes ahead of time, and all you have to do come party time is pour and enjoy. Get the recipe for Red Wine Ginger Berry Cocktails here. Fans of Moscow Mules will love this tart, bubbly Lime Ginger Fizz: Instead of vodka, this drink gets its kick from prosecco, an Italian sparkling wine that’s lighter and sweeter than its French cousin, champagne. This simple, bright cocktail has only three ingredients: honey-ginger simple syrup, prosecco, and lime juice. It’s a light, slightly sweet and tart drink that’s perfect for any party or special celebration — no heavy ingredients or overpowering flavors. To make honey-ginger simple syrup at home, all you need is honey, ginger, and water. It’s delicious in this cocktail, of course, but you can also make a big batch and use it to flavor your coffee, tea, or other drinks as a natural sweetener. 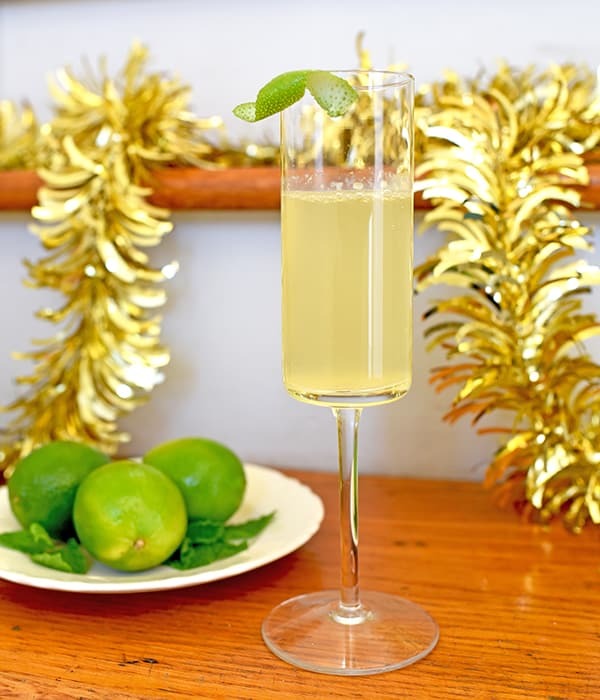 Get the Lime Ginger Fizz recipe here. There’s no need to get complicated to create a refreshing, mouthwatering mixed drink; sometimes simple is best, like this Pomegranate and Prosecco Spritzer. Two ingredients and you’re done, leaving you more time for socializing instead of drink mixing. Add a sprinkling of fresh pomegranate seeds to your glass and you’ve got a festive, Instagram-ready cocktail. If you’re feeling extra fancy, freeze a tray of mixed berry ice cubes for even more flavor and flair. 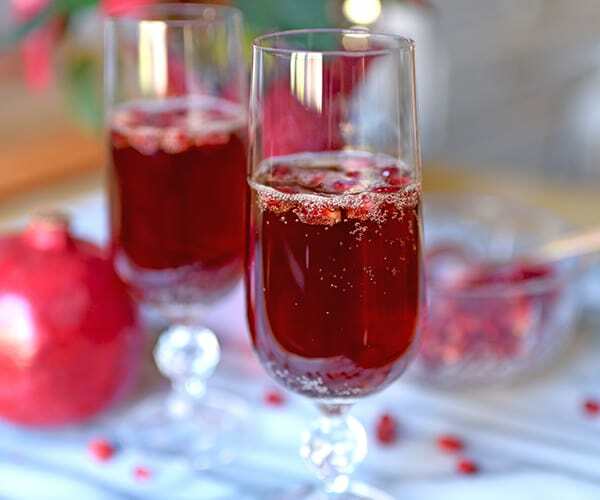 Find out how to make a batch of Pomegranate and Prosecco Spritzer here. 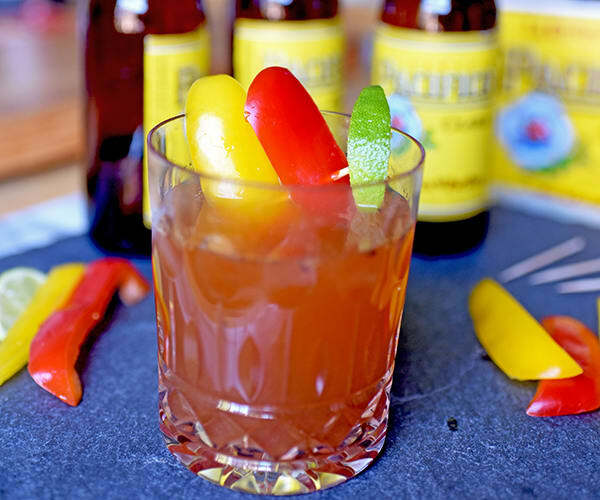 In our Savory Michelada recipe, we subbed in steak sauce (seriously) and black pepper for the savory and the spicy, and added thin slices of yellow and red bell peppers for some crunch. This version is a great way to introduce (and prepare) your palate for the more elaborate versions. Get our Michelada recipe here. Bonus: Try this Fix-approved Elderflower Meringue Cocktail — get the full details on FIXATE on Beachbody on Demand!